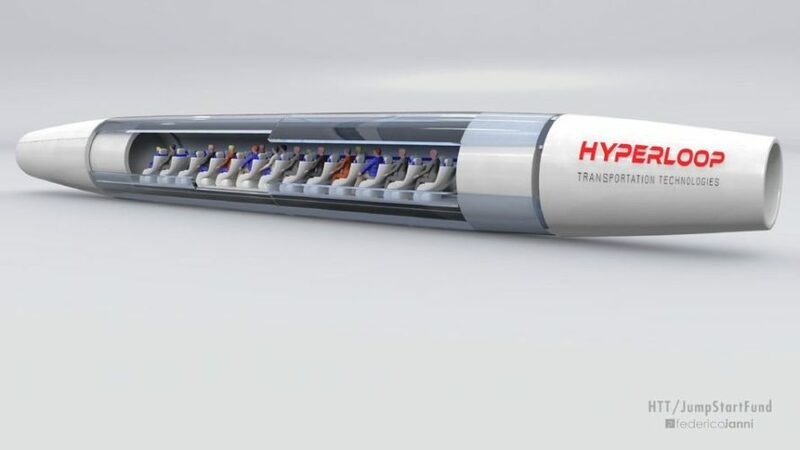 Hyperloop Transportation Technologies just announced plans to manufacture its transportation pods from a new type of carbon fiber called Vibranium that’s “eight times stronger than aluminum and 10 times stronger than steel alternatives.” The material takes its name from the fictional metal used to create Captain America’s nearly indestructible shield – however name isn’t the only exciting thing about the startup’s announcement. Unlike the fictional material, HTT’s Vibranium isn’t indestructible, but it is incredibly strong. What makes the carbon fiber unique, however, is the fact that it contains embedded sensors that can wirelessly and instantly transmit critical information about the pod, including updates about its temperature, stability, integrity, and more, ensuring the safest possible experience for passengers. Each pod would be constructed with two layers of the material as a failsafe. The material was developed in collaboration with a Slovakian company, C2i, which typically manufactures carbon fiber for automobiles and aircraft. One interesting side effect of the partnership? HTT might be bringing a Hyperloop to the Slovakian capital of Bratislava, which would travel between Vienna and Budapest. The company is currently conducting feasibility studies on the concept. The development of Vibranium and the plan to bring the ultrafast rail technology to Europe seems to be HTT’s latest attempts to differentiate itself from its rival, Hyperloop Technologies. HTT has announced that its Hyperloop pods will be made out of a new type of carbon fiber called "Vibranium." The new Vibranium material is stronger than steel and embedded with sensors to monitor the safety of passengers inside.